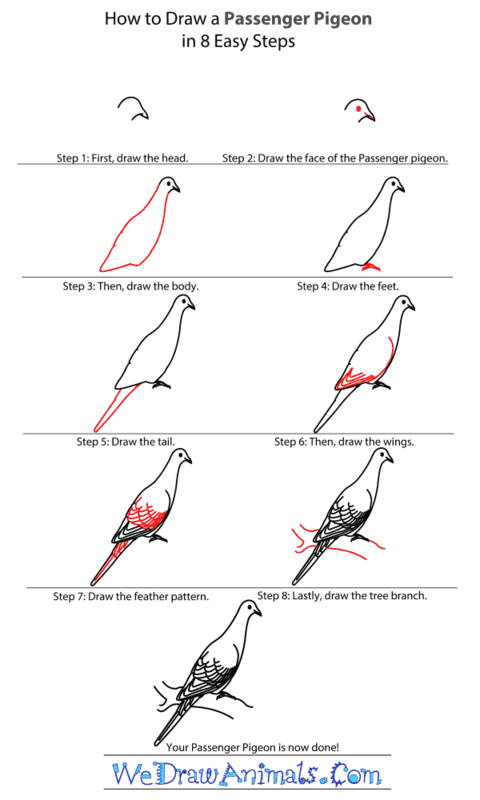 In this quick tutorial you'll learn how to draw a Passenger Pigeon in 8 easy steps - great for kids and novice artists. 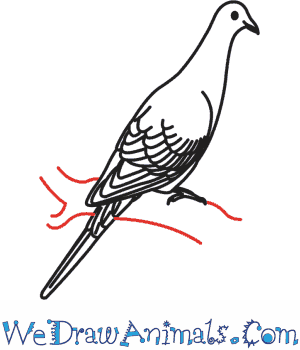 At the bottom you can read some interesting facts about the Passenger Pigeon. 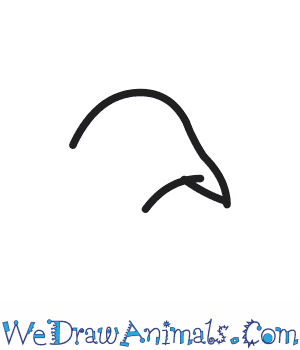 Step 1: To start drawing the Passenger Pigeon, draw the head by making a curve shape, and add the pointy beak on the right side of the curve. 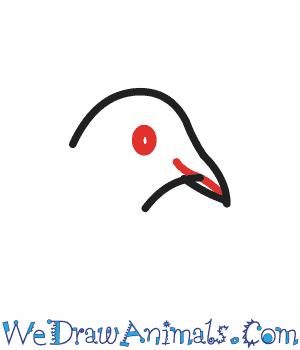 Step 2: Add the face by drawing a small circle for the eye and a short line inside the beak. Step 3: To draw the body, draw a smooth line down the back. For the front, also make smooth curve going downward, but then bring it in to close the bottom. Passenger Pigeons were known to have long necks and slender bodies. Step 4: Add the feet my drawing some small pointy toes underneath the body. Step 5: Add two lines going down at an angle for the tail with a rounded end. 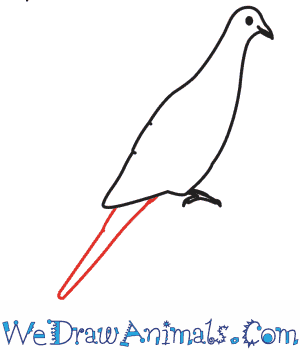 Step 6: To draw the wings, make small curved lines within the body with round wing tips. Though the Passenger Pigeon is long extinct, these birds were built for speed: they were able to fly 60-70 mph! 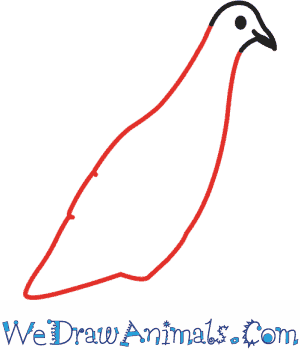 Step 7: Add the feather pattern by drawing small curved lines in the wings and tail. Step 8: Now add a branch under the Passenger Pigeon by drawing a few curved lines. 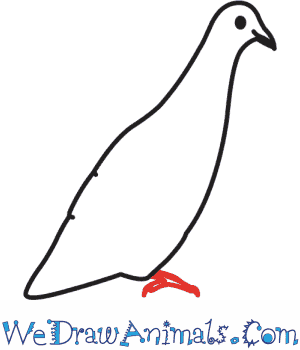 You can color the Pigeon gray with red eyes. Passenger Pigeons are long since extinct. However, science and literature have kept the memory alive of these birds through books and educational displays. By 1914, “Martha” the last known Passenger Pigeon died and was mounted for museum display. The closest description scientists can give of this bird is the resemblance to a Mourning Dove. There are small differences, but most believe that the Mourning Dove is a close relative. Passenger Pigeons had red eyes; they were built for speed with long necks and slender bodies. Their wings were sharp and pointed and their chests were big and strong. For years after “Martha’s” death bird watchers would report seeing a passenger pigeon. But, it was normally just a Mourning Dove. When these birds had nests, they would all use the same tree. It could fly as fast as 60-70 miles per hour. Because of its fast decline, many birds have been saved so that we don’t lose another bird species. Scientists have talked about “cloning” a Passenger Pigeon to try to restart a population. Activity: Draw a Passenger Pigeon and distribute copies to each child. Allow them to color it however they wish. Then staple the birds up with the children’s names on a tree themed bulletin board.